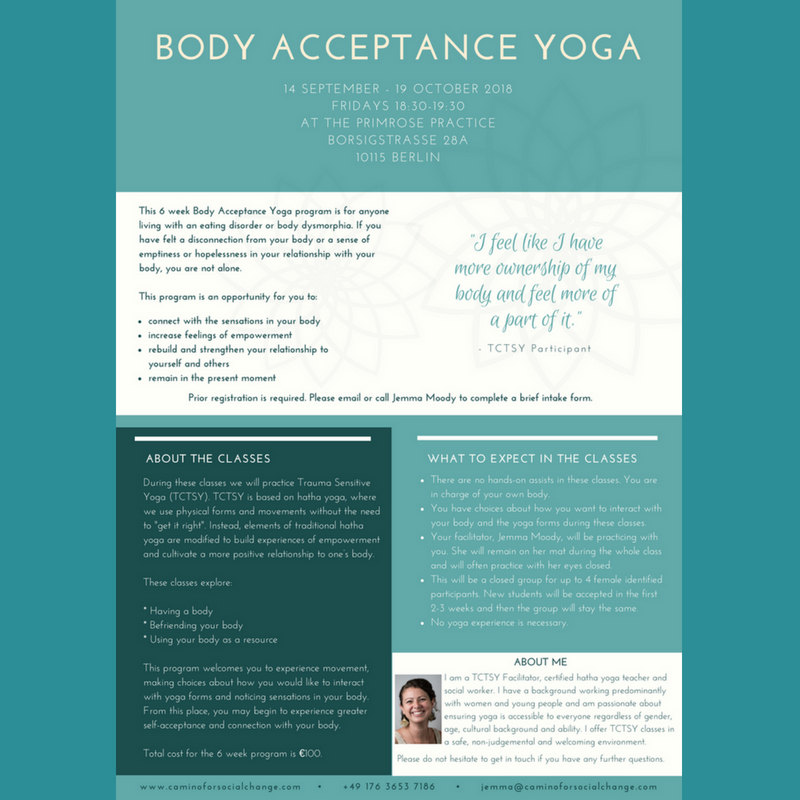 The Primrose Practice is offering a 6 week Body Acceptance Yoga program from the 14th September until the 19th October in collaboration with Trauma Sensitive Yoga practitioner Jemma Moody. The yoga sessions will be run independently from English speaking therapy but sessions can also be offered alongside the program with an English speaking therapist to facilitate integration and work through any issues or difficulties that may arise. This program is designed for those with an eating disorder, or those just struggling in their relationship with their body and/or food and seeking a healing practice with special attention to their physical bodies. Registration is limited so please email info@theprimrosepractice to enquire about availability.